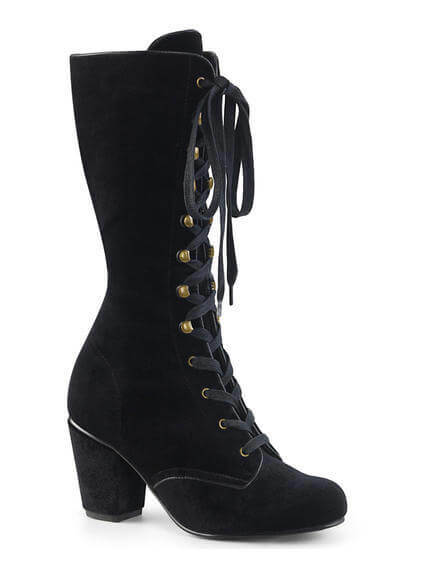 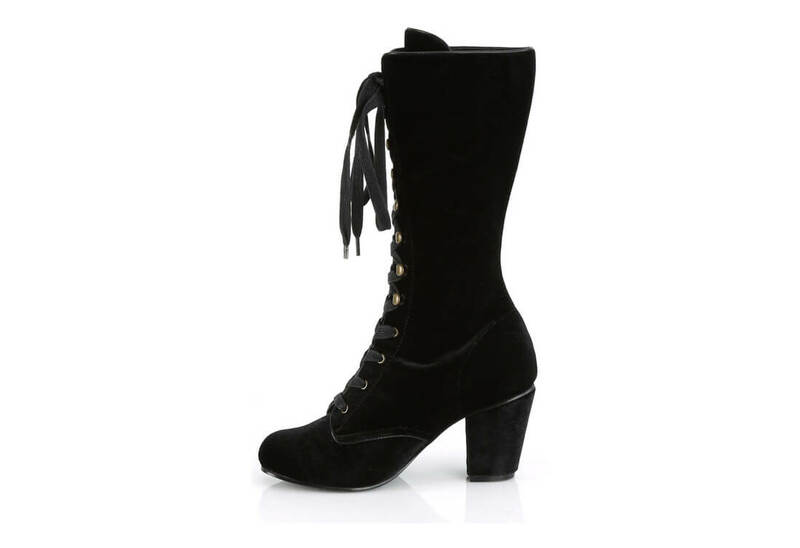 These stunning black velvet mid-calf high heel boots comes with brass colored eyelets and speed lace eyelets. 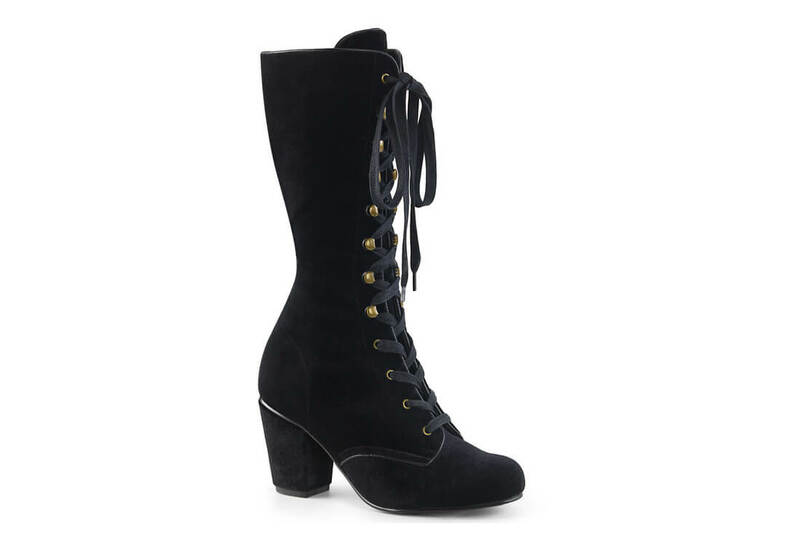 The top of the boot has one set of eyelets on the top keeping the speed eyelets secure. 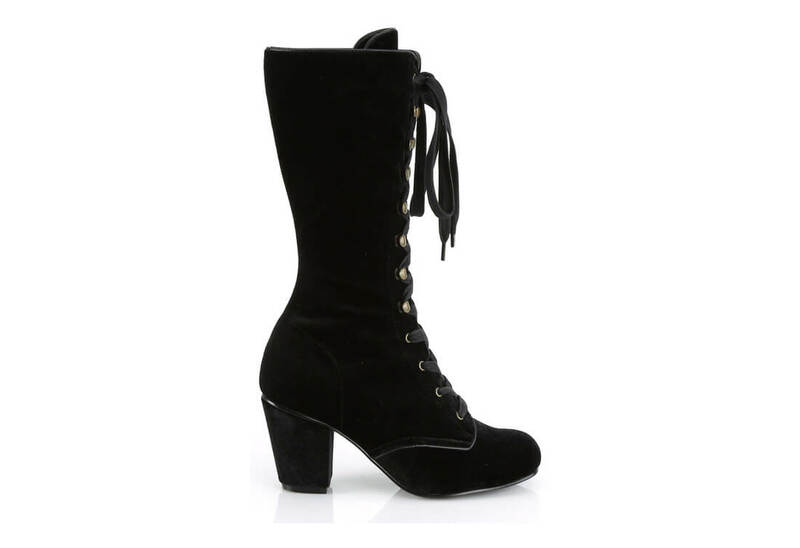 They also have a 3 inch block heel with a round toe.